Napa, CA–Looking for the perfect food gift for a special celebration? Whether the gift recipient is a mom, a dad, or a newly minted grad, The Culinary Institute of America (CIA) at Copia has something for everyone—and especially for those hard-to-buy-for food enthusiasts. For a one-of-a-kind wine country culinary experience, CIA at Copia is now offering an exclusive Chef’s Tour of Napa Valley. CIA Culinary Demonstrations Manager Sandy Sauter escorts up to ten guests on a private tour through the Valley, introducing participants to local vintners, producers, and farmers along the way, as well as sharing her unique perspective on the wine country food scene. The tours explore the ways in which Napa Valley is tied together by food, wine, art, and the people who live there. Guests are whisked away on an eight-hour, curated adventure in a private classroom-on-wheels, with passed hors d’oeuvre and wine tastings provided. The tour will make three to four stops, including a private reception at CIA’s historic Greystone location in Saint Helena. Each Chef’s Tour has a different theme. The first tour, on Tuesday, May 30, focuses on agriculture, and includes a farm tour of Diamond Mountain with Douglas Hayes and his coveted heritage chickens. Future tours are slated for Thursday, July 6 and Thursday, August 24. If making a gift from scratch sounds like fun, don’t miss CIA at Copia’s Food as Gifts classes. There are two classes in advance of Mother’s Day on Saturday, May 6 and Saturday, May 13. There’s another class focused on making rubs, condiments, and marinades for grill-happy dads on Saturday, June 10. On Mother’s Day weekend, join Mom for a special rosé tasting, featuring a selection of California rosés. Tastings will be held from noon to 3 p.m. on Saturday, May 13 and Sunday, May 14 ($30 for six tastings). Additionally, CIA at Copia offers two classes on Mother’s Day: Brunch Batters, which is a great way for younger kids to celebrate Mom (and make a mess in someone else’s kitchen) and Bubbles for Every Occasion, where children of drinking age can imbibe and learn about sparkling wine right alongside Mom. Enjoy the same Bubbles experience with Dad on Saturday, June 17. 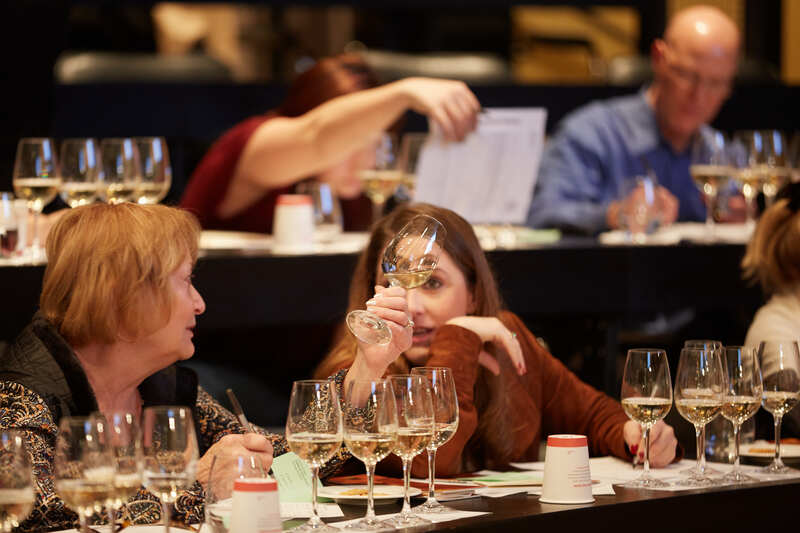 Classes and tastings of all kinds are held every day at CIA at Copia. View a complete schedule of upcoming classes through the summer online. Prices range from $15 to $125 per person. The Store at CIA Copia is the place to find vintage kitchenware and unique culinary items, like a set of Hall Pottery Lobster Dishes from the 1950s or a ruggedly handsome wooden rolling pin, circa 1900 ($350). In addition to cookbooks, wine, decorations, and kitchen supplies, shoppers can find hard-to-find edibles, like Katz Gravenstein Apple Cider Vinegar, and decorative tableware, like handmade pottery from nearby artist Amanda Wright. The store is open seven days a week, 10:30 a.m. to 6 p.m., 707-967-2545. Founded in 1946, The Culinary Institute of America is the world’s premier culinary college. Dedicated to developing leaders in foodservice and hospitality, the independent, not-for-profit CIA offers bachelor’s degree majors in management, culinary science, and applied food studies; associate degrees in culinary arts and baking and pastry arts; and executive education through its Food Business School. The college also offers certificate programs and courses for professionals and enthusiasts. Its conferences and consulting services have made the CIA the think tank of the food industry and its worldwide network of 49,000 alumni includes innovators in every area of the food business. The CIA has locations in New York, California, Texas, and Singapore.